This is a fantastic year for New Jersey blueberries. 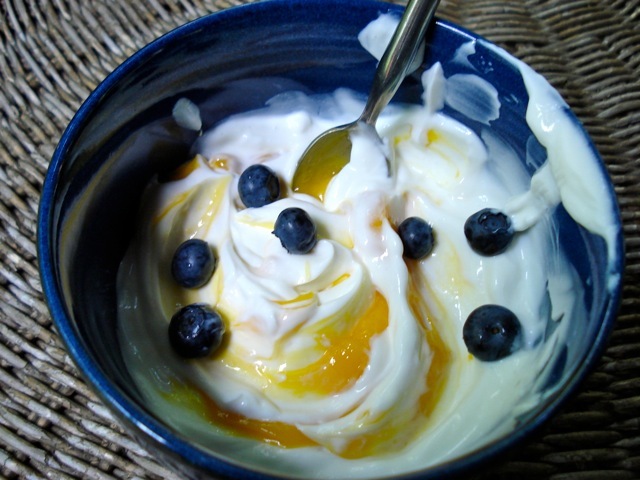 I empty a container of no fat high-quality plain yogurt into a bowl, swirl in some lemon curd, a sprinkle it with blueberries! Simple, healthful, and heavenly! Special note: I've finally figured out how to post my own photos on the blog. I was motivated to figure it out because I wanted to post this right away before life and the NASFT food show take over tomorrow.